In additional to Walking and Fishing Lough Dan offers an array of local attractions. 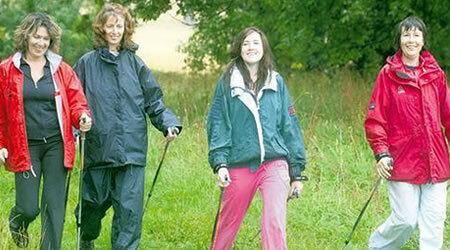 Many Heritage Sites and Historic Houses can be found within easy reach of Lough Dan Guesthouse. 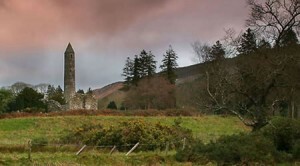 Glendalough, the world-famous sixth century monastic settlement founded by Saint Kevin, set on the floor of one of Wicklow’s classic glacial valleys and bounded by mighty Camaderry and Derrybawn mountains on its North and South sides is but a short 10 minute drive from Lough Dan House. Set in a splendid forest park along the banks of the Avonmore River, Avondale House was the birthplace and home of Charles Stewart Parnell (1846 – 1881), one of the greatest political leaders in Irish history. The forest estate at Avondale comprises over 500 acres. Throughout the estate several sign-posted walks have been established, as you walk watch out for the many animals who inhabit the woodlands and waters of Avondale, the squirrel, the badger, stoat and otter. 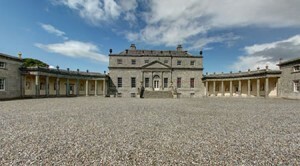 Russborough House near Blessington, built in the mid-eighteenth century in the Palladian style under the direction of architect Richard Castle and now famous for its priceless collection of Dutch, Flemish and Spanish paintings assembled by Sir Alfred Beit. 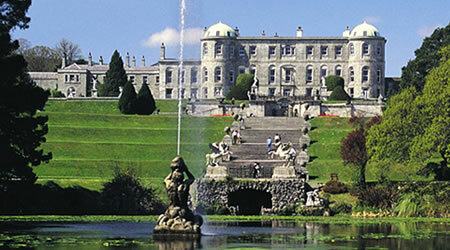 Powerscourt at Enniskerry, a 13th century Palladian mansion, where retail therapy opportunities abound! 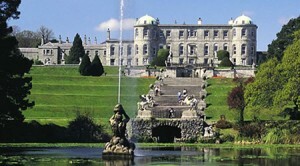 Powerscourt also boasts 47 acres of formal gardens, with formal tree plantations framing the vista from the house, a walled garden, fish pond, cascades, grottos and terraces. 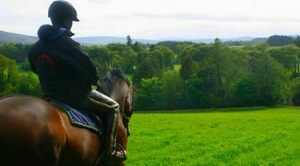 Walks wind through the wooded grounds and along a fine avenue lined with hundreds of beech trees. The gardens of Killruddery House have the most extensive early formal gardens, still in their original style, surviving in Ireland. 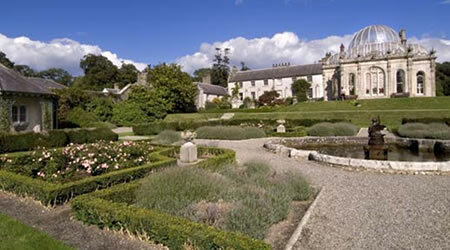 Dating from the 1680s they are amongst the most important gardens of their type in these islands. 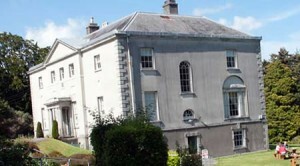 The house dates from the late 1600s but was remodelled in the Elizabethan style in 1820. A splendid Orangery was added to the house in 1852 where classical music concerts can be enjoyed in the summer. A popular film location, you will recognise it from the long-running TV series, The Tudors. 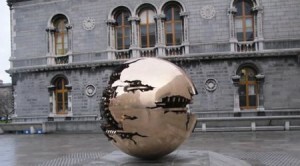 The lodge is only an hour away from Dublin city where you will find a huge range of cultural and heritage sites to explore and events to attend. The famous Abbey Theatre is only one of the city’s many centres where world renowned local and international actors can be seen performing both contemporary and traditional works. If shopping is to your taste, the recently opened Dundrum Shopping Centre is one of the most extensive in Europe. 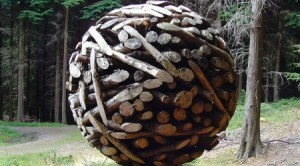 Sculpture in Woodland is situated in the beautiful surroundings of the Devil’s Glen Wood at Ashford, Co Wicklow in Ireland and features a unique collection of over 16 contemporary sculptures by Irish and international artists. For the suitably fit, this is within walking distance of the Lodge and can also be enjoyed from horse back. Alternatively a short drive brings you to the car park from where the walk to the sculptures and the waterfall is more leisurely. See more at Sculpture in Woodland. Are you looking for the experience that in the past has been called scary, educational, emotional, terrifying, but always highly entertaining? Then look no further than Wicklow’s Historic Gaol, where you will find live characters, a life-size Treadmill, a Hanging Cell and Gaol Model. 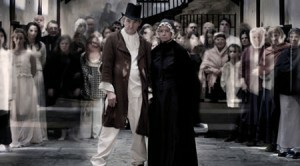 This compelling story is told through live re-enactment and spell binding audio-visual and interactive material. 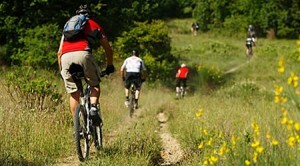 Tours are 1 – 1.5 hours in duration and sizes are controlled to provide the maximum enjoyment for all.